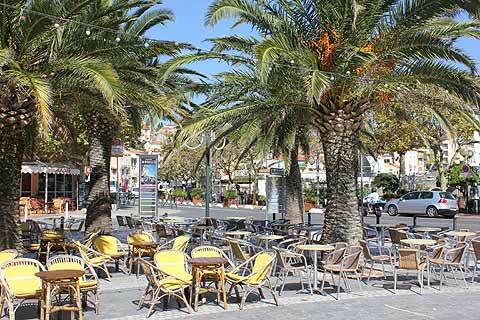 Banyuls-sur-Mer is a coastal resort and beach set around a natural bay and port. It is situated on the Mediterranean coast in Languedoc-Roussillon, just north of the border with Spain. The coast here is known as the Cote Vermeille. The beach in the town has received the prestigious 'pavillon bleu' award for its cleanliness and facilities. It forms a natural bay in front of the town and is a mix of sand and pebbles. Along the seafront behind the beach there are plenty of bars and restaurants and after enjoying dinner in a seafront restaurant be sure to take an evening stroll along the sea front. 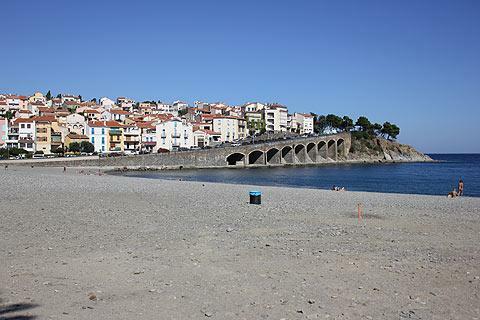 A quiet town, Banyuls has little in the way of major sights but it is a pleasant place to stop and explore or have a quick dip in the sea from the town beach and is also a popular base for visitors to the region who want to combine a beach resort with the chance to explore the eastern Pyrenees. For a more quiet area of coast and small beaches follow the coast path for a short distance to reach the natural environment of the crique Taillelauque and the crique Tancade. 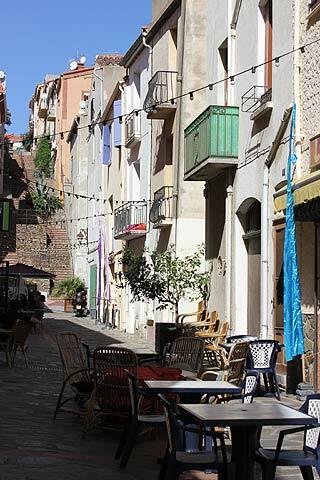 Back in town and away from the beach, the most interesting part of Banyuls is in the narrow streets of the Cap d'Osne region. These wind steeply uphill and the tourist office has laid out a route through these attractive narrow streets. The Eglise de la Rectory is the most interesting historic monument in the town: it is a small quaint church in the roman style that was built in the 12th century. Set above the town there is a large mediterranean garden, the Jardin Mediterranean du Mas de la Serre, which is a three hectare park filled with plants from Mediterranean type climates around the world. 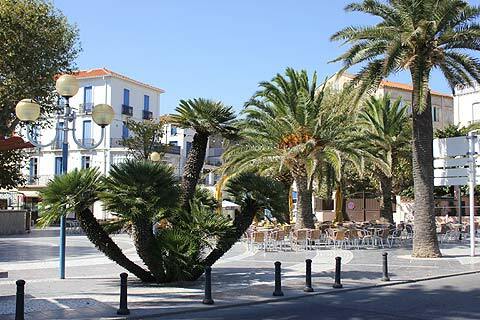 Banyuls also has an aquarium on the seafront filled with plants and fish found in the waters nearby. Banyuls is also well known for the local wine production, and there are several caves where you can do wine-tasting - the most popular are La Grande Cave and La Cave du Mas Reig. 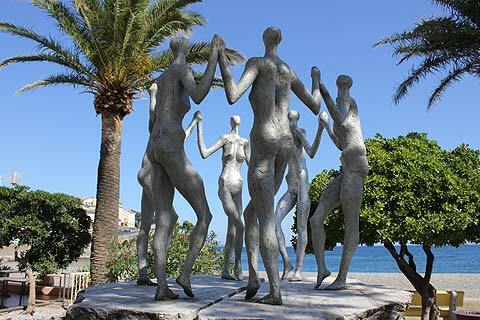 As you explore the town you will notice some interesting statues by local artist Aristide Malliol, born here in 1861. When looking at the statues (such as the 'young lady reclining' near the port) remember that these statues predate, and influenced, later artists such as Henry Moore. The house where Malliol died is also in Banyuls, and now a museum dedicated to his life and works, including paintings, ceramics and sculptures. Several points along the coast nearby have fine viewpoints over the rocky coastline, including the Cap l'Abeille and Cap Rederis. Another good detour is to take the road from Banyuls to the Tower Madeloc, built in the 13th century and with some of the best, most far-reaching, views in the region. The Col de Banyuls, on the border between France and Spain, also has some lovely dramatic scenery.